Now you see them, now you don't: Monkey-faced spider populations vary from year to year, as adult spiders pass away each fall and newly hatched ones spin web balloons that carry them away. When you do see monkey-faced spiders, you will often find them on a building near a porch light, filling up on the abundant food provided by insects drawn to the nighttime light source. Monkey-faced spiders go by many names, including orb-weavers, cat-faced spiders and jewel spiders. Their scientific name is Araneus gemmoides. They are members of the Araneidae family of orbweaver spiders, which are in the Araneae order of the class Arachnida. The reason they are called cat- or monkey-faced spiders is because their abdomens resemble those animals' faces, including bumps that mimic ears. Meanwhile, these spiders typically have a singular white line that goes down the middle of the top of the abdomens, with thick V or delta shapes crossing the middle line. Monkey-faced spiders are found in western North America from British Columbia to Wisconsin. They live as far south as Arizona and Missouri. In Canada, monkey-faced spiders are found in southern and central Alberta, and as far north as Grande Prairie. According to the Royal Alberta Museum website, they likely live even further north than that but sighting reports have not yet confirmed this. Monkey-faced spiders have adapted well to human civilization; they thrive by building their webs around or in buildings like houses and barns. They love building their webs near barn or porch lights, as bugs attracted to the light will swarm to their traps, providing the spiders with an abundance of food. 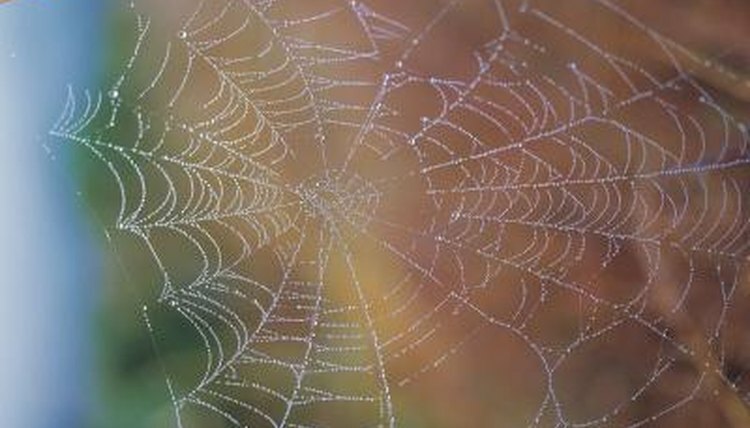 Often, the next morning their webs will be in tatters; the spiders will have to build new ones in the evening. They often relocate their webs. Outside, they spin their large webs in vegetation, trees or bushes a few feet off the ground. Their webs are always found near a branch, leaf or nook that they can hide under while waiting for insects to fly into their webs. Monkey-faced spiders are usually out and about in spring and summer, and often throughout fall, though they are often unseen until August or September, when the females, which are larger and easier to spot, get active. They mate in late summer, and all the spiders die off by the end of fall, leaving only the eggs behind to overwinter. The eggs will hatch in spring, and the babies will spin strands of silk that the air will catch, lifting them into the air and ballooning them sometimes hundreds of miles away.